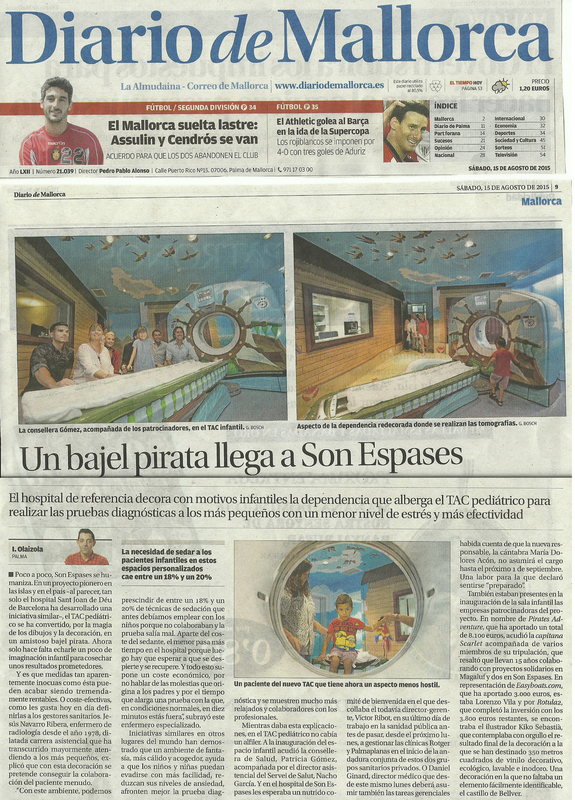 We recently co-sponsored the installation of 350m² of vinyl to transform a stark white CAT scan at Son Espases University Hospital, Palma de Mallorca, into a relaxing fun pirate-theme room. We hope the children will feel much more comfortable. Many Spanish media – print, online and TV – picked up the news. Here’s an example from Diario de Mallorca.